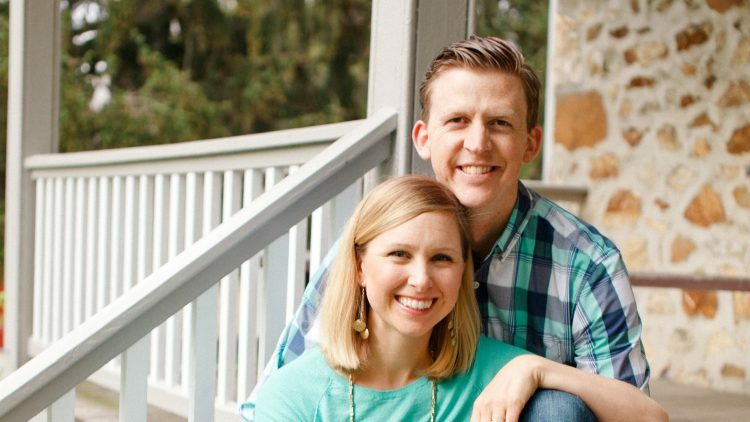 We are James and Kelly, and we would like to thank you for taking the time to get to know us a little better. Although our circumstances are different, I think we can both relate to being on an unexpected journey. We pray the Lord guides you through this unexpected journey and you feel His peace. As we enter the adoption process a second time, we have a deeper understanding of what an expectant mother goes through, although we will never truly understand. We are honored that you would take the time to learn about us during this challenging and emotional time. We met in college and were married two and a half years later in the fall of 2007. We started trying for a child a year after we were married but we were unsuccessful after many years. As we walked the road of infertility we both had surgeries and underwent many infertility treatments. As we grieved our many losses the Lord started to do a work in our hearts and we both decided to stop infertility treatments and pursue adoption. A year later, our precious son, Wesley, came into our family! We are so blessed and honored to be his parents yet, we feel like our family is not complete. Our hearts long for another child to love and we think Wesley will be a great big brother. A few years ago we bought an old farmhouse and renovated it. The location is great because it is a private, quiet street and we have great neighbors. We have a big flat yard surrounded by trees - a great place for kids to play and explore. We are very active in our local church where James plays guitar and leads worship while Kelly leads our small group and helps with Kids Church. For work, James is a Sales Engineer. He travels to local businesses and works out of our home office. Kelly is now a stay-at-home mom. She was a nurse for many years before we adopted our son. We are all very close with our family and live close to Kelly’s parents and youngest sister. Our other family members are further away but we stay in touch and see each other as often as we can. We are also Uncle and Aunt to 18 nieces and nephews who we love and enjoy watching grow (4 of our nephews are also adopted). One of the hobbies that we share is snowboarding. We are an active family and enjoy hiking and the outdoors. We also often use our local trails for walks and bike rides. For sports, Kelly enjoys playing soccer and James plays rec basketball. Our family shares a love for movies, board games, laughing, and spending time with each other as well as our family and friends. Thank you again for taking the time to view our profile book.